Hear And Now: 5 Awesome Podcasts You Can't Miss This Week! IVM Podcasts, India’s biggest podcasting network, brings you five awesome shows you need to listen to this week – across genres like comedy, pop culture, entertainment, public policy and current affairs. The best part? 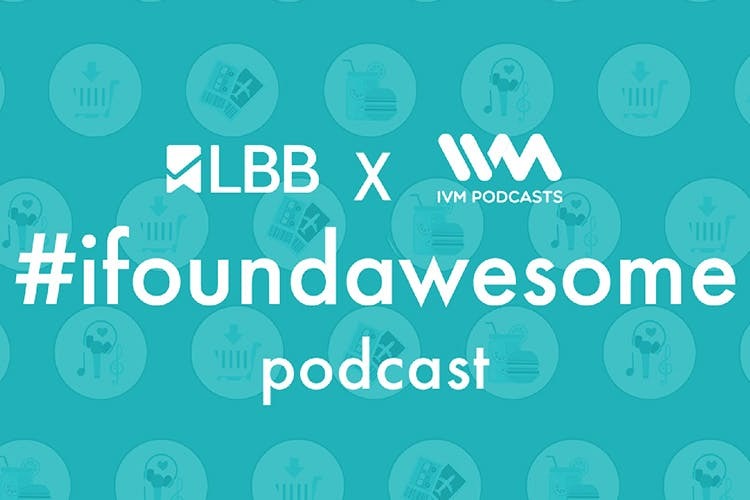 LBB’s first-ever #ifoundawesome podcast is live on IVM! Catch the details in the list below. This week, IVM staffers and producers Gaurav, Jaanam and Abbas tell us about a TV series, an app and a film respectively. You can also catch a recommendation from Srikeit (the host of Simblified). For the latter half, the topic of discussion is: Life Before ‘Netflix and Chill’. Was life empty without it? Here is a unique call-in comedy show where a new guest talks to Sonu, an expert of, well, everything. He’s accompanied by they very entertaining Pawan Kumar. Does cold kill cold or is it a buzz-kill? Today’s caller has a critical question for our dearest Sonu. Hosted by journalist Amit Varma, this show aims to examine the seen and the unseen effects of public policy. This is an AMA (Ask Me Anything) special, where host Amit Varma answers questions from in-studio guests, as well as Twitter and Facebook users. It’s a definitive show where the inimitable Cyrus Broacha talks about life in urban India, politics, sports, civic sense, traffic, kids, food and simply everything that matters. On Cyrus Says this week, we meet Ramya Ramamurthy, a media professional with 15 years of experience in various fields including print, TV and digital mediums. She discusses why big companies need to cover all their bases when it comes to branding, how Facebook’s stocks went up after Zuckerburg’s deposition, and lots more about the world of branding. Bored of going to the same old places in your city? Discover 5 new and unique places every week to eat, shop, drink and travel with LBB – your plan A, always! This week, we’re spilling the top 5 things to do in Delhi, Mumbai, Bangalore & Pune from a new Nutella-themed cafe and multi-brand sneaker store to a luxurious boutique farmstay, and the latest bar in town.